Wasps' England and Lions star Elliot Daly is to leave the Premiership club at the end of the season. After confirming the adaptable back's imminent departure, Wasps director of rugby Dai Young said: "Elliot triggered a release clause in his contract. "Despite our best efforts to keep him at the club, unfortunately he has decided to move on to pastures new." Daly, 26, said: "I simply feel it is the right time to seek a new challenge next season after the World Cup." Reports had suggested that the release clause on Daly's contract was tied into Coventry-based Wasps' redeveloped new training ground having not been completed in time. But Daly, who scored from full-back for England in Saturday's Six Nations win against Ireland in Dublin, denied this. "Despite some of the rumours flying around, the training ground has nothing to do with why I've come to my decision to leave," he added. "This has been one of the most difficult decisions of my life. I'd like to thank everyone at Wasps, from my old junior academy coaches right up to Dai and chairman Derek Richardson, for giving me the opportunities and helping me reach the top of the game over the last 12 years. "Wasps will always have a special place in my heart and I will certainly be giving everything to the jersey to try to finish the season strongly." 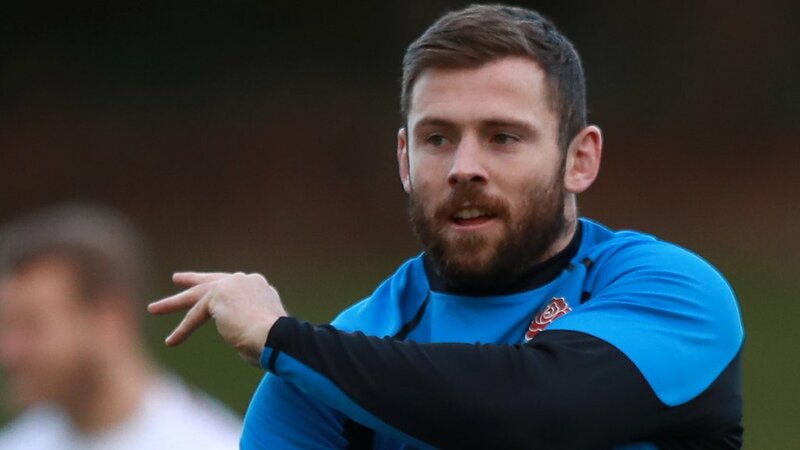 Daly's departure is part of a major overhaul of the Wasps playing staff, which began when England duo Danny Cipriani and James Haskell left for Gloucester and Northampton respectively last summer. South Africa full-back Willie le Roux will leave at the end of this season, while Bristol Bears have already agreed to sign another of Wasps' England internationals - forward Nathan Hughes. In addition, Jake Cooper-Woolley has agreed to join Sale next season and fellow prop Matt Mullan has left the club by mutual consent. Wasps boss Young added: "We are really disappointed to lose Elliot. We brought him through the ranks from his teenage years and have seen him flourish. Already confirmed to be joining Wasps next season are former New Zealand prop Jeff Toomaga-Allen from Super Rugby's Hurricanes, All Blacks centre Malakai Fekitoa from Toulon and Exeter prop Jack Owlett.